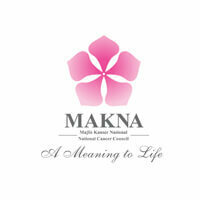 Officially launched in 1995, the National Cancer Council (MAKNA) aims to provide curative, preventive, research, and support services to cancer patients, their families, high-risk groups, and the general public. The not-for-profit organisation has spearheaded numerous initiatives over the past two decades. Their services include a 40-foot mobile mammogram trailer to aid early detection of breast cancer, offering bursary assistance such as monthly allowance, medical equipment, medication, and ancillary items to enable cancer patients to cope with cancer, and creating a strong education and cancer support services to educate the public and help cancer survivors get back on their feet.